Tata & Howard completed an Extended Period Simulation (EPS) hydraulic model of the water distribution system for the Town of Avon, Massachusetts. An EPS model was created to account for changes in the water distribution system over an extended period to include peak and minimum demands during both the summer and winter months. These changes included tank levels, pump controls, value operation, and demand variations. The EPS model was used to estimate the water age in the water distribution system under winter and summer demand conditions. Water age is the time water takes to travel from a water supply source to a point within the distribution system. It is used as an indicator of water quality based on the assumption that the older the water is, the greater the likelihood that water quality has deteriorated. 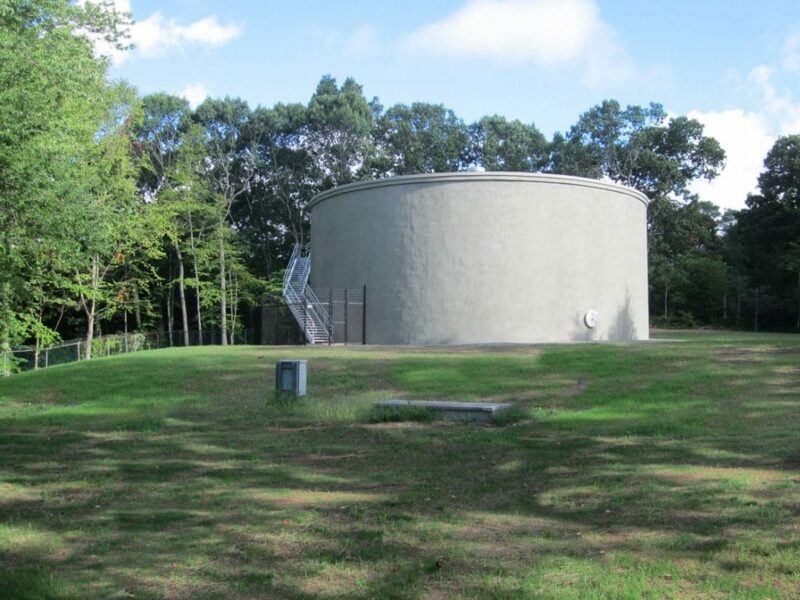 According to MassDEP Finished Water Storage Guidelines, a three to five-day complete water turnover is recommended in water storage tanks. The EPS model was also utilized to evaluate the Town’s existing system operations. The model was used to determine the optimal tank operating range and the impact of the run times on the well pumps. Simulations were performed on both the Center Street and Page Street Tanks to evaluate operations under existing and projected average day demand (ADD), maximum day demand (MDD), and peak hour demands with a minimum pressure of 35 psi maintained throughout the distribution system. In addition to analyzing the tank optimal operating levels, changes to the existing pump operations and the effect on tank levels and water age were evaluated. Two modified pump operations scenarios were evaluated. Both scenarios were run with the existing tank water level controls and allowing the Page Street Tank to drop four feet. A second modified pump operation scenario evaluated the Town’s lead/lag system. Results for the pump and tank level operations under these simulations were recorded for both summer and winter operations. Based on the results from each operational modification, Tata & Howard made several recommendations for improvement to the water distribution system. These included allowing the water level in the Page Street and Central Street tanks to drop an additional six feet to improve water age during both the summer and winter demands. 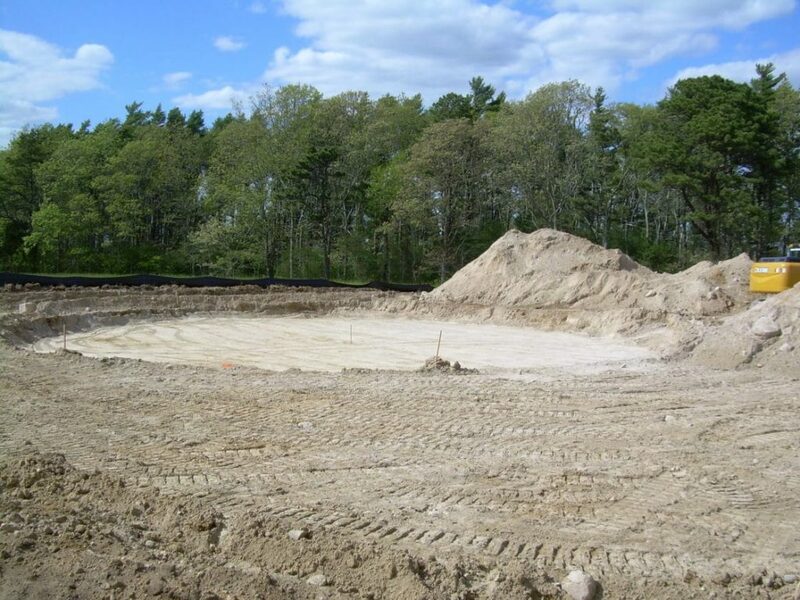 In addition, to help improve the water age in the tanks to an optimal three to five-day complete water turnover as recommended by MassDEP Finished Water Storage Guidelines, Tata & Howard suggested installing mixing systems in each tank. Tata & Howard completed a hydraulic model update and Capital Efficiency Plan™ for the City of Worcester. As part of the project, Tata & Howard updated and verified the City’s existing hydraulic model, which has over 550 miles of water main. Work included three days of fire flow tests throughout the City and allocation of demands using up-to-date billing and parcel data. Phase II of the project, the Capital Efficiency Plan™, identified and prioritized areas for improvement within the distribution system. Our services included evaluating the condition of the existing distribution system infrastructure to determine the adequacy of meeting present and future demands, calculating needed storage requirements, assessing and prioritizing system improvements, reviewing and evaluating typical fire flows throughout the system, creating a pipe asset management rating system, and recommending improvements to the distribution system. Tata & Howard calibrated the hydraulic model under extended period simulation for an evaluation of the Super High Service Area with the Chester Street Tank off-line due to rehabilitation. The configuration of the service area included two distinct zones. The Chester Street Tank is located in one area and the Howland Hill and Apricot Tanks are located in the other area. To remove the Chester Street Tank from service, an evaluation of supply and pressures needed to be completed. The results of the analysis included running both zones off the Apricot Tank and utilizing the Chester Street Pump Station to maintain pressures within the vicinity of the Chester Street Tank. The new tank was completed in 2016. Tata & Howard provided engineering services for a comprehensive water distribution system evaluation and study. The work included development of a hydraulic model using WaterCad software. The plan included fire flow tests, review of the water supply agreement with the City of Worcester, preparation of projected water demands based on historical use and population trends, and evaluation of storage. The plan also included an evaluation of potential water supply sources within Town boundaries. This project included an evaluation of the system prior to design of the tank to determine the best solution. Work included calibrating the model under extended period simulation (EPS). The hydraulic model was used to determine the best hydraulic gradeline elevation of the system to reduce the storage surplus. Additionally, the model was used to track the chlorine residual from the Worcester Pump Station to the extremities. Jar testing was completed to determine the chlorine demand in the water supply while water quality testing results assisted with determining the chlorine demand in the piping system. The model was used to simulate the chlorine degradation. Improvements were input into the hydraulic model and the effects on the chlorine residual in the extremities reported. Improvements such as an elevated tank at Maple Street with a total usable volume, reduction in hydraulic gradeline elevation, and cleaning and lining water mains were evaluated. The analysis determined that a new tank at Maple Street is necessary based on water quality and cost. 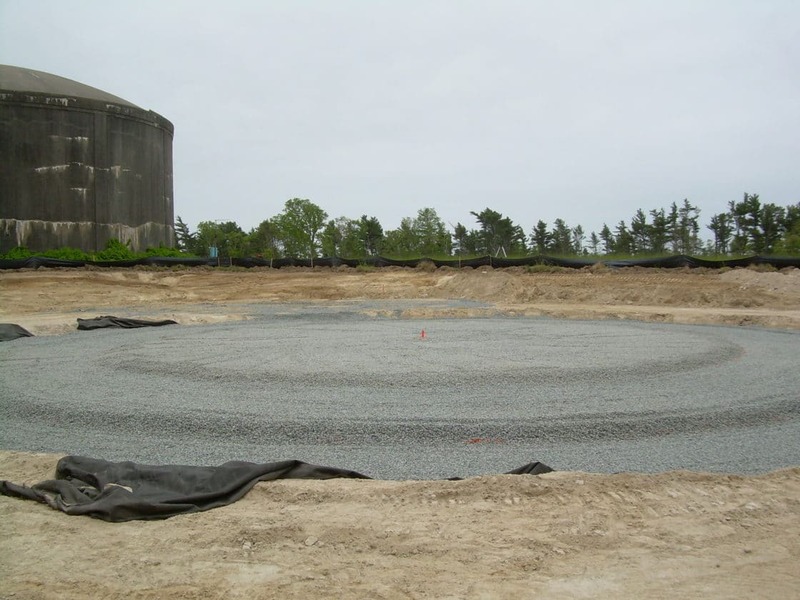 Tata & Howard provided assistance with the preparation and submittal of a Project Evaluation Form to the Massachusetts Department of Environmental Protection for the construction of a new elevated tank with a capacity of 0.2 million gallons. The new tank reduced the water age in the system by replacing the deteriorating ground level tank. 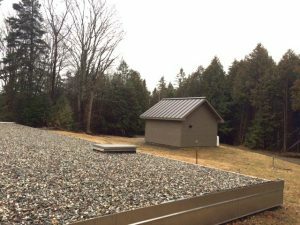 Tata & Howard provided construction administration and resident observation services for the new tank, which was completed in 2016. 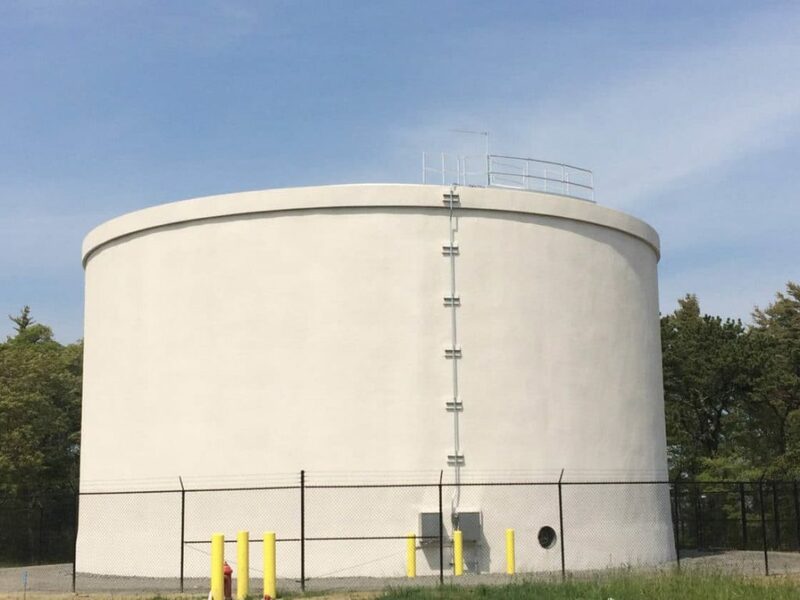 Tata & Howard provided evaluation, design, construction administration, and resident observation services to the South Central Connecticut Regional Water Authority (SCCRWA) for the replacement of the Whitney-Wintergreen water storage tank. 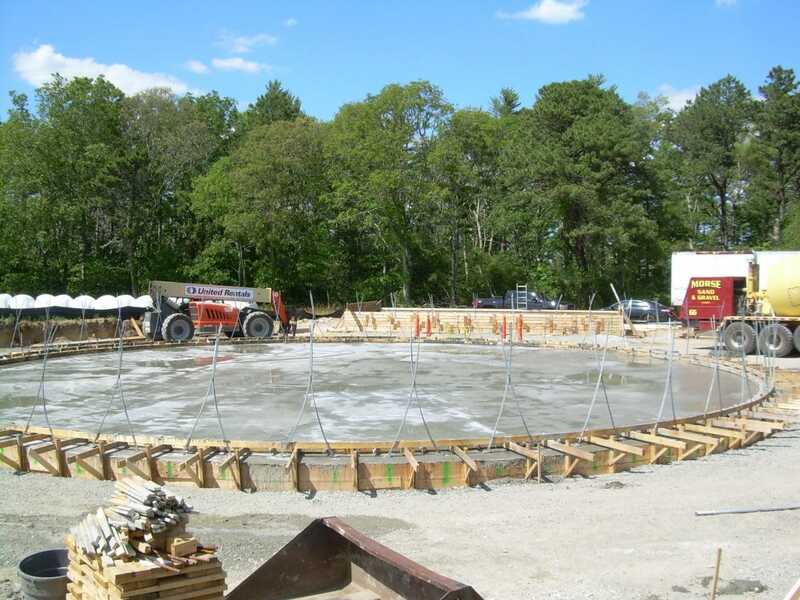 The project included an analysis of SCCRWA’s Whitney-Wintergreen service area to determine the appropriate volume of storage needed to serve its customers, and a 1 million gallon concrete tank was constructed to replace the existing 1.5 million gallon steel tank at the same site. The project also included demolition of the existing tank as well as stormwater management at the site. 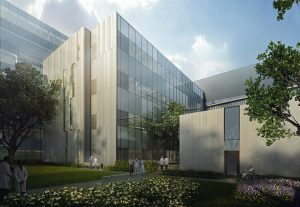 The project was completed in September of 2015. Tata & Howard designed and constructed the improvements to eliminate low and inadequate system pressures, construct a new source, pilot test filtration for manganese removal, design and construct required distribution system piping to connect the plant and storage tank with the system, design a new concrete storage tank, booster pump stations, and the filtration facility for manganese removal. The project was very successful and remains in great condition today. 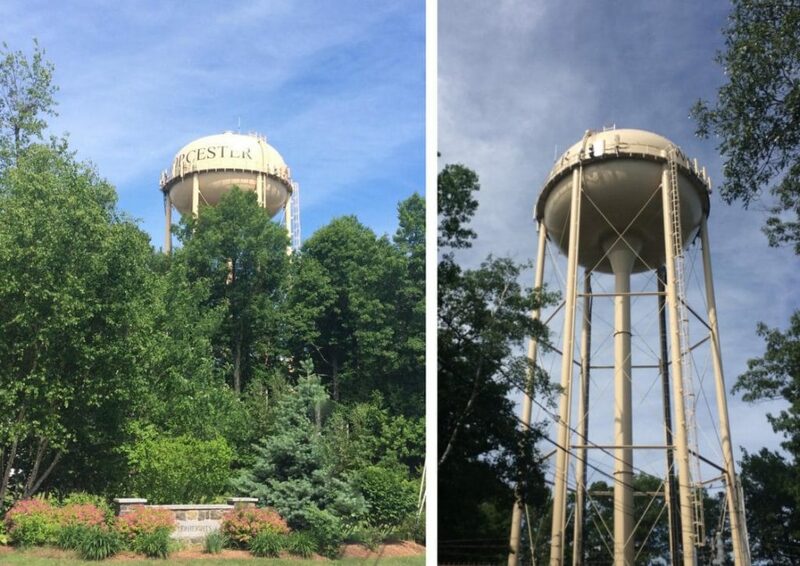 THE CHALLENGE: The Chester Street water storage tank required evaluation, repair, cleaning, and painting of both the interior and the exterior. The tank is located in a heavily populated residential neighborhood and the exterior surface had high levels of lead in the paint. Therefore, special attention to lead contamination, noise, and construction debris was required. In addition, determination of the effects of taking the tank offline were required before any work could be started. THE SOLUTION: Analysis of the Super High Service Area using the verified hydraulic model was conducted, and the model was run under extended period simulation (EPS) to evaluate the potential pressure problems within the service area. As a result, operational modifications to the existing pump stations and service zones were recommended. Working only during daylight hours while keeping noise and debris to a bare minimum, construction crews completed miscellaneous repairs including replacing the anchor bolts, installation of overflow support brackets, modification of the access ladder, modification of the roof ladder, repair of the upper level sway rod, extension of the balcony handrail, installation of a roof handrail, and replacement of the roof finial vent. During the exterior abrasive cleaning, a containment system was utilized to prevent lead from getting into the air and soil. Once all repairs and cleaning were completed, the interior and exterior of the elevated tank were painted. PROGRESS: Two years later, the tank is still in pristine condition, as shown in the photo above. THE CHALLENGE: More stringent USEPA and MassDEP regulations, including Stage 2 Disinfectants/Disinfection-by-Product Rule (S2 D/DBPR) and the Long Term 2 Enhanced Surface Water Treatment Rule (LT2ESWTR), resulted in the Town of Falmouth needing to make a decision on whether to construct a filtration facility in compliance with the SWTR or to upgrade disinfection processes only at the existing Long Pond Water Treatment Facility (LPWTF) to maintain the existing Filtration Waiver. THE SOLUTION: Because the existing LPWTF utilized no filtration to remove bacteria, organics, and particulates, the water quality entering the distribution system was an ongoing concern with elevated turbidity and organics leading to seasonal color, taste, and odor complaints; elevated bacteria and concentrations; and elevated algae counts. In addition, the high doses of chlorine needed to maintain the disinfection residuals required for an unfiltered supply reacted with the organics in the raw water to form disinfection by-products. Therefore, the only viable option for the Town of Falmouth was a new water treatment plant. After evaluating 22 treatment processes and developing eight treatment alternatives for pilot testing, only one treatment process met all goals: Dissolved Air Flotation (DAF) clarification, intermediate ozone followed by filtration. This alternative also scored favorably on the benefit/cost analysis. 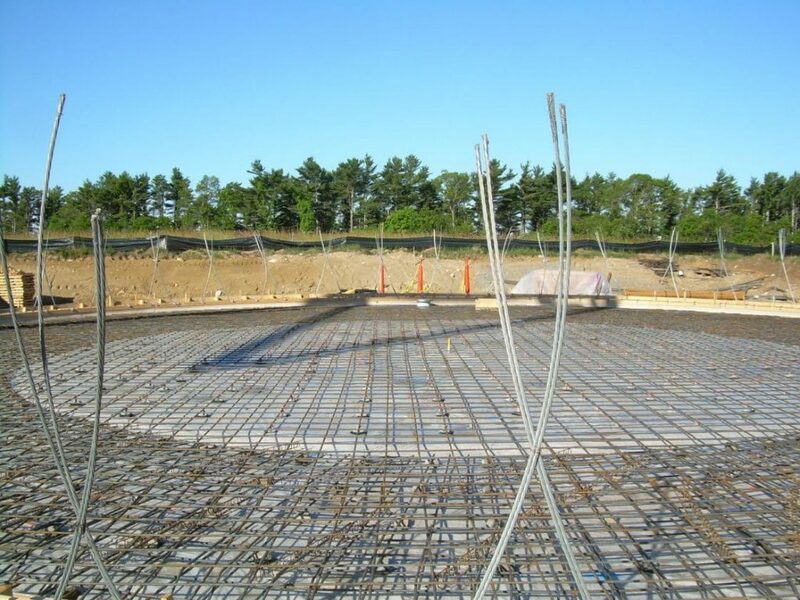 Tata & Howard provided design and construction services for the new Dissolved Air Flotation (DAF) facility with a design capacity of 8.4 million gallons per day (mgd) for the Long Pond surface water supply for the Town of Falmouth, MA. 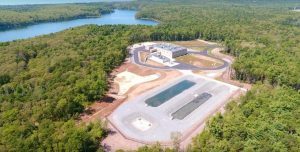 The water treatment plant (WTP) utilizes coagulation, mixing, flocculation, dissolved air flotation (DAF), dual media filtration including granular activated carbon (GAC) above sand, chemical feed systems, and an intermediate ozone feed. 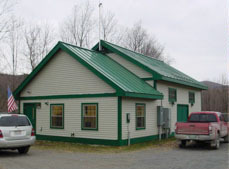 Building components include HVAC, plumbing, fire sprinkler, gas and electrical services. Other work included site work with exterior piping systems, exterior above and below ground tanks, sludge holding lagoons, construction of a garage, new raw water intake and pump station, directional drilling of raw water mains, and demolition of equipment and site piping at the existing water treatment facility. As part of the project, Tata & Howard provided design and permitting of a new 8.4 mgd intake and raw water pump station (RWPS) for the WTP. 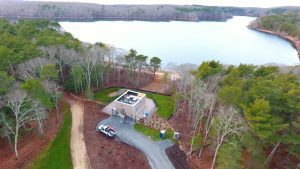 The new intake and RWPS were constructed along the eastern shore of Long Pond and replaces the existing intake and Low Lift Pump Station. The new intake and RWPS includes a two-level intake consisting of two 8.4 mgd rated intake screens installed at elevations -3 feet below mean sea level (MSL) and -13 feet below MSL. 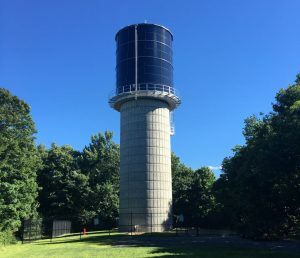 The 36-inch HDPE intake pipeline connects the intake screens to the new RWPS located approximately 150 feet from the eastern shore of Long Pond. An air burst system was designed in the RWPS to provide a means for routine cleaning of the new intake screens. 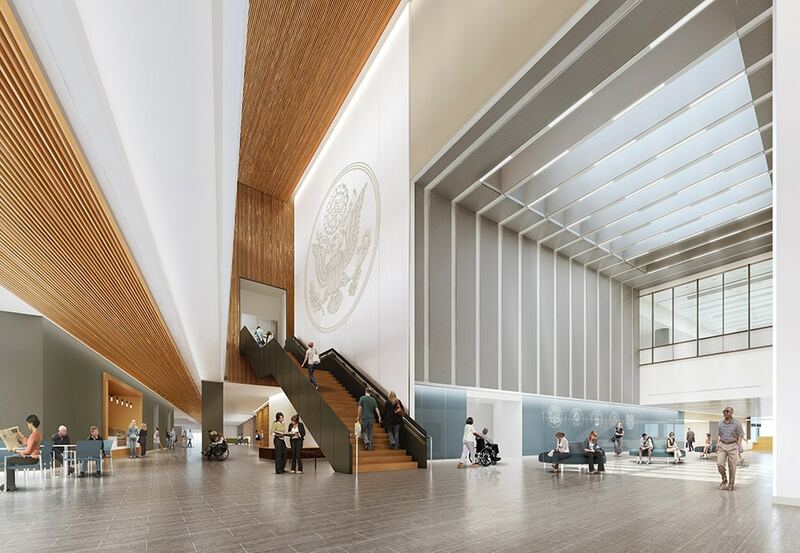 An accelerated 11 month design and permitting schedule, followed by contractor prequalification, bidding, and award, were completed in time to qualify the Town for >$3M in principal forgiveness. Recycling spent backwash water to head of plant and back into the treatment process, after it passes through a plate settler to remove solids. Recycling laboratory analyzer and filter influent piping gallery analyzer discharges back into the treatment process. Using filter-to-waste water after a filter backwash sequence as supply water for the next backwash, instead of using finished water for backwashing. Discharging cleaner supernatant water off the top of the lined lagoons to an unlined infiltration lagoon and back into the ground to minimize residuals. Use of local/native plants for landscaping, including an irrigation system using collected rainwater from roof drainage. Interior and exterior LED lighting fixtures. Variable Frequency Drives (VFDs) on HVAC equipment and process equipment motors.